Today, the Catholic Church celebrates feast of Saint Fermin. In his honor, Pamplona’s famous running of the bulls, which had become something akin to a spectacle, is held annually (in July). It has also become the most popular celebration in Spain, annually visited by about one million people. St. Fermin is especially popular in Pamplona, where the running with the bulls is held in his honor every year. Pamplona is the capital of Navarre, the country which is part of present-day Spain, but has a long history (it had been an independent country). Navarre is strongly associated with the Basques, and some believe they are the oldest culture in Europe. Their language is quite different when compared to the other European languages. Namely, the Basques are sometimes considered the oldest European natives, perhaps because they originated from the local cave artists. Saint Fermin was born in Pamplona, the historical capital of Navarre, in the third century. He was supposedly a member of a Roman family of senatorial rank. He converted to Christianity and ordained as a priest. Later, he became the first bishop of Pamplona. Saint Fermin dedicated himself to the dissemination of the Gospel, and even came to northern France (former Gaul). 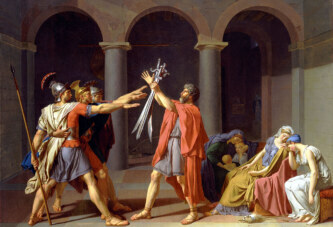 According to tradition, he met martyrdom in the city of Amiens, probably in 303. St. Fermin was allegedly decapitated. In his honor, Pamplona’s famous running of the bulls, which has become something akin to a spectacle, is held annually (in July). 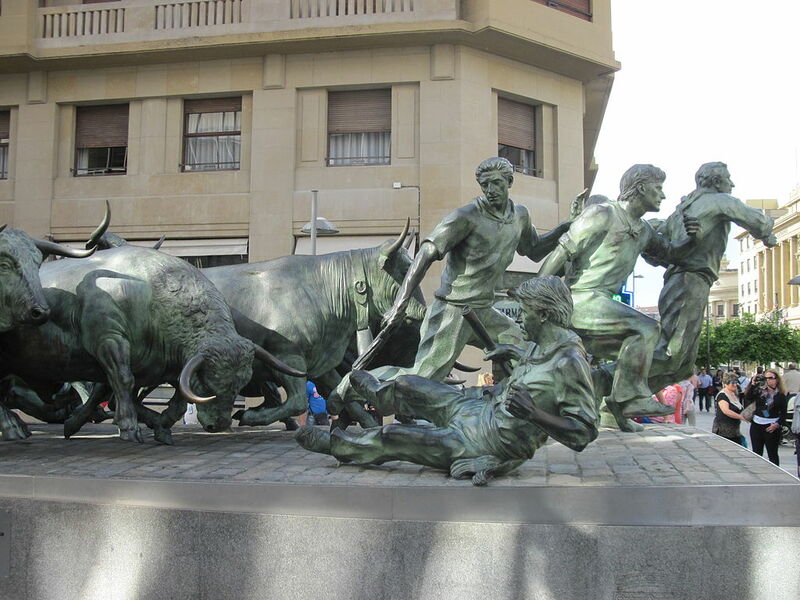 It was named “Sanfermines” after St. Fermin. It has become the most popular celebration in Spain, annually visited by about one million people. Ernest Hemingway had also liked it (back in the 1920s), and had brought it to the general attention of many people. Herd of bulls and oxen run through the streets of Pamplona, from the starting point to the arena, which is about 826 meters away from the start. The event is very dangerous. 15 people have been killed so far. Every year, between 200 and 300 people are injured during the race. It is very possible that this saint, the co-patron of Navarre, had better ideas on how to have fun.